In the middle of the night, in the summer of 1991, a band of young fellows would walk the streets of Goa to put the BJP on the political landscape of the state. Every 200 metres they would chalk the outline of the symbol, fill it with lime and paste the posters. One of the poster boys was also the Lok Sabha candidate. His name: Manohar Parrikar. The poster boy of the 1990s, a reluctant politician pushed into the melee by his RSS mentor, in two short decades came to be The Poster Boy of Politics, everybody's idea of the ideal politician. Parrikar is the exemplar of the original aspiration of the BJP's quest to be the party with a difference. He was different and he made a difference. I learned about Parrikar through Pramod Mahajan and Gopinath Munde in the early 1990s. Mahajan, not one to praise anyone easily, said he was what BJP needed more of. In a multi-religious cosmopolitan state, Parrikar defined acceptance in politics — that priests, maulvis and pandits prayed for him in his last days is a manifestation of his style of lead-with-the-people politics. Sworn in as chief minister in 2000, Parrikar was the first among 13 in 10 years to complete his term. Venkaiah Naidu had then quipped, "It is his ability that gives stability." And true to the maxim, Parrikar went on to be chief minister four times. Parrikar played a crucial role in the orbital shift of the BJP. In 2002, in Goa, I was discussing with him the state of the BJP rife with dissent, before the start of the national executive. Among those present were Bhairon Singh Shekhawat, Mahajan and other senior leaders. 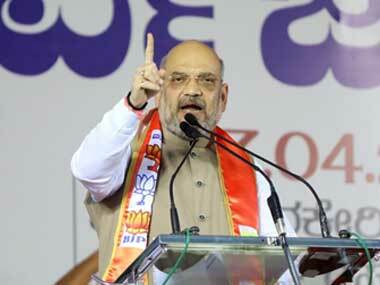 I asked him why the BJP had struggled and he said, "Age of decision-makers changes the risk-reward matrix. Ideally leaders are at their best between the ages of 40 and 55." In leadership analysis, it's a classical thesis — you know enough to take the decision but not enough to fear taking a call. Later that evening, the BJP endorsed the stand of Narendra Modi. I was walking down the street outside the Marriot to file my copy and he asked me what I was going to write. I told him I would reveal it after I write it. True to form, the next morning he asked, "So what is your analysis?" I said the colour saffron represents two approaches — one leads to renouncement or sanyas and the other war or sangram. BJP has moved from sanyas to sangram. By 2009, the BJP parivar was at war and the RSS decided to intervene. 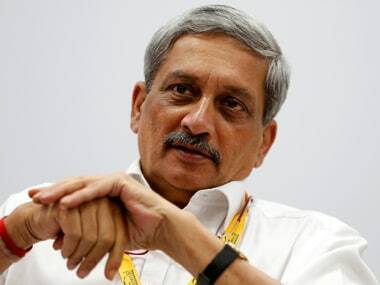 Parrikar was among the names doing the rounds for the post of BJP president. I asked him if he was considering the offer. Parrikar was candid. "Arre, I come from a two-MP state. Besides, I don't want to go to Delhi. You know Delhi is like Rome — everyone suspects everyone all the time." A year later I was asked by the Rambhau Mhalgi Prabodini to do a chat with him. I asked him if there was an expiry date for yatras and yatris. He had a few days earlier remarked about 'rancid' and 'pickled' leaders in the party. He said "the point is not who but what" and didn't shy away from his views. Again in 2013, it was Parrikar who set the ball rolling for change within the party, naming Modi as the prime ministerial candidate. After the BJP came to power it was clear it lacked talent and Parrikar's name was doing the rounds for defence minister. He said, "You know my views about Delhi, but I may shift." 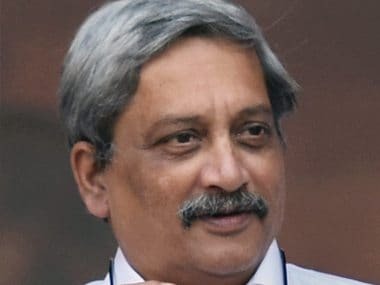 As defence minister, Parrikar restored due process, diligence and credibility — he also endeared himself to the forces and propelled the interests of state enterprises — from ordnance factories to the DRDO et al. 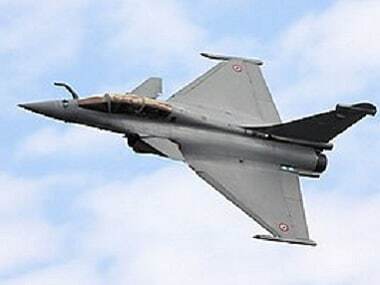 That in all the muck flying around on Rafale, none was thrown at him is a testimony of his integrity. But the straightforward, down-to-earth persona of Parrikar was militating with his circumstance. I met him in Delhi in 2017 a little after the Rafale controversy had erupted. He had put on weight and looked ill at ease. I asked him if all was well and he said with a twinkle in his eye: "What do you expect with this kind of food and this place?" His move to Goa was not a bit surprising for me — his discomfort with the shenanigans in Delhi was much too apparent. Some of his friends tend to suspect it triggered the illness and I tend to agree. The seriousness of his illness was known to friends. Parrikar typically didn't want to go abroad for treatment. I sent him a barrage of messages through his close friends, Atul Bhatkalkar and Mukund Kulkarni, to go to the US. 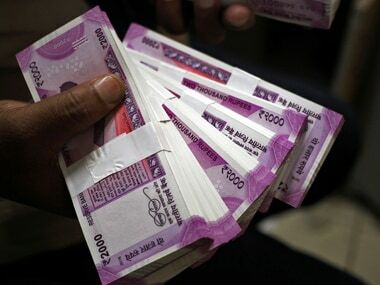 While visiting Mumbai, Modi prevailed. It was frankly already too late for him. Always a fighter, he soldiered on through the treatment. The IIT-Bombay graduate wore his degree and his achievements lightly, always a quintessential Goankar, a foodie fond of music and always a friend of friends. Much is known and discussed about his simple lifestyle. What most people miss is that while he did not take the perks and privileges of power seriously, travelling economy class, by cab, continuing with his bush-shirt and sandals sartorial style, he was dead serious about politics and the leverage it offered to engineer. That he did this without the accompanying melodrama is what endeared him to people. Parrikar's real legacy is that people aspire for a leader like him. He was and will be The Poster Boy for Politics.